I told you we had a miracle getting the guitars into Jericho. The next thing we did was go to the home groups and tell them we had guitars and Karen was willing to teach anyone who wanted to learn. We wanted at least one person from each home group. 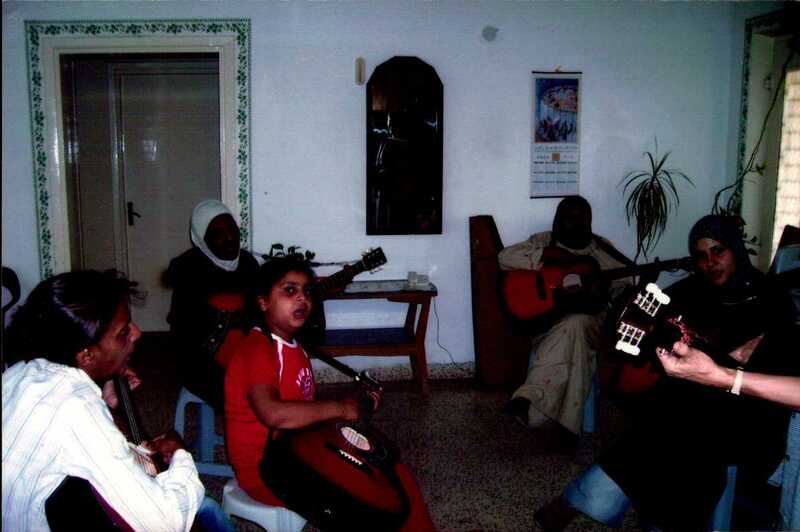 We also told them if they finished then we would give the home group a guitar. They were excited. The next thing that had to be done was scheduling lessons. It seemed the people could not agree on a day that all of them were free. We set up several different lessons to accommodate the people. We had afternoon lessons most days of the week and we had evening lessons. There were some men who had guitars who wanted to come for lessons or just to play with someone else who knew the guitar. Those lessons had to be at night. I don’t play an instrument so I just stayed in the room and prayed for those who were taking the lessons. There was a young girl who was about eleven or twelve. 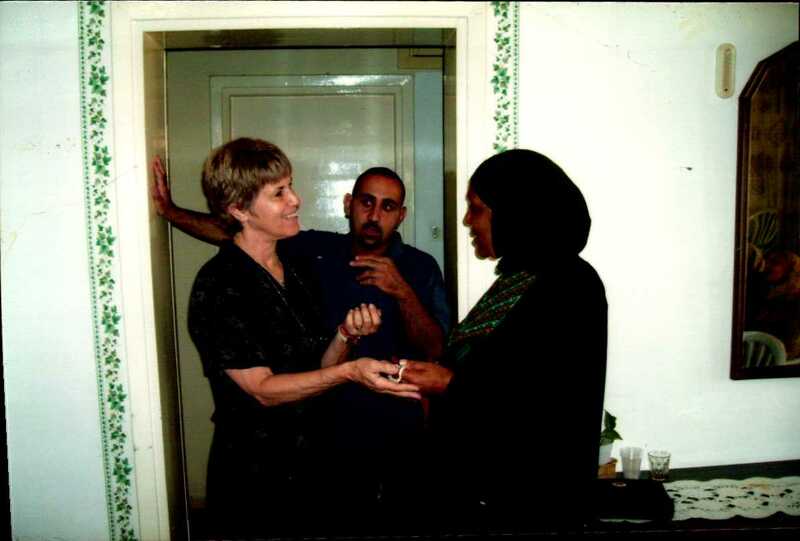 We had a mother and her two teen age daughters and we had a few older women who had raised their family. One day toward the end of the lessons our friend Fotma and her sister were there for lessons. Karen had taught a simple song that had one chord change. They decided to play together and sing. The two students started playing and singing but Karen was the only one who changed chords. They just kept playing and singing and the smiles on their faces were amazing. This went on for a time and you could feel the Holy Spirit in our midst. I truly found out what it is to make a joyful noise to the Lord. When they finally quit playing we were all laughing with the joy of the Lord. When they left, Karen and I were still laughing and she told me the music was terrible but the joy of the Lord was amazing. When the month was coming to an end we handed out ribbons to those who had completed lessons and gave a guitar to the person from that home group who had finished the lessons. They felt a sense of accomplishment and that was good. 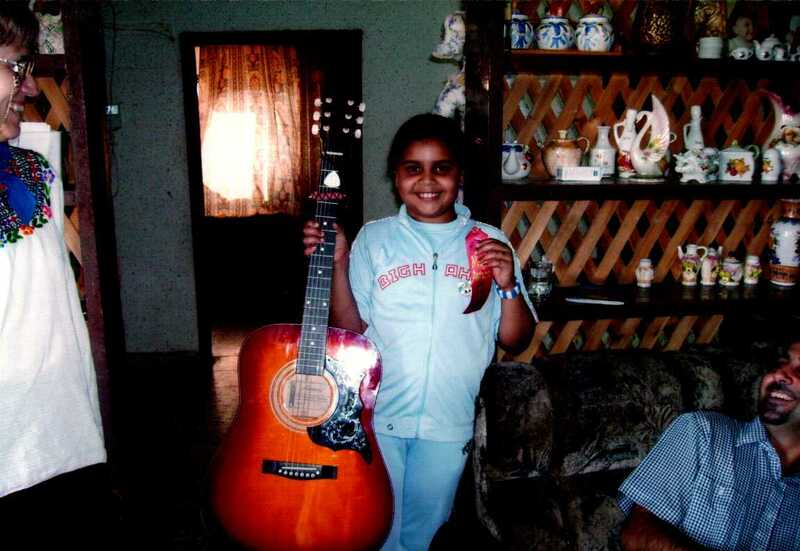 Reham, the youngest student receiving her ribbon and guitar. There is more to this story but I will have to tell it next time.